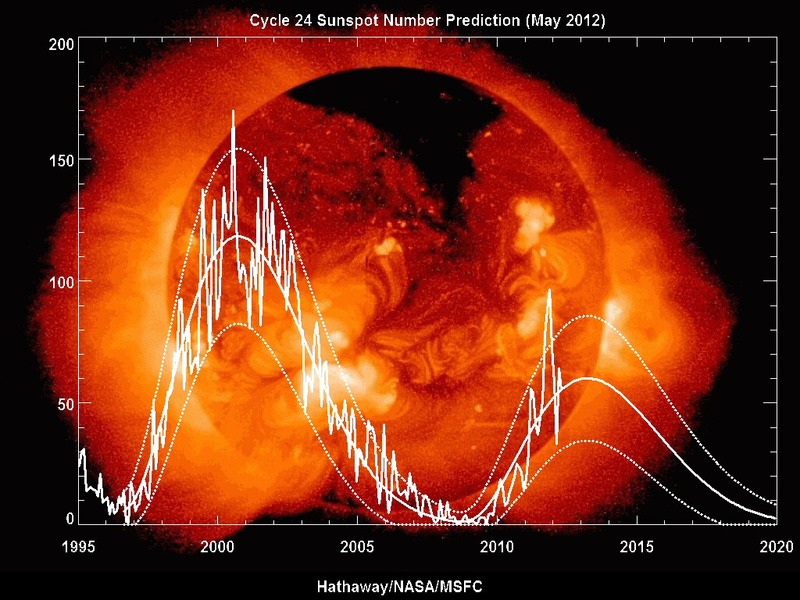 Depending on how you count sunspots, it could be lower than a smoothed 60 if max is in 2013. NASA counts specs that would not have been counted 100 years ago. The northern hemisphere has already reversed polarity. I suspect that we will all be in for surprises as this is the first time we have been able to witness a grand minimum with modern technology. One thing is for sure; the sun is behaving strangely. We will learn a lot with advanced observations. Thanks for the comment and observation. I agree that we are in for some exciting observations over the next year. I agree, we are seeing spots now that would not be observed a 100 years ago.